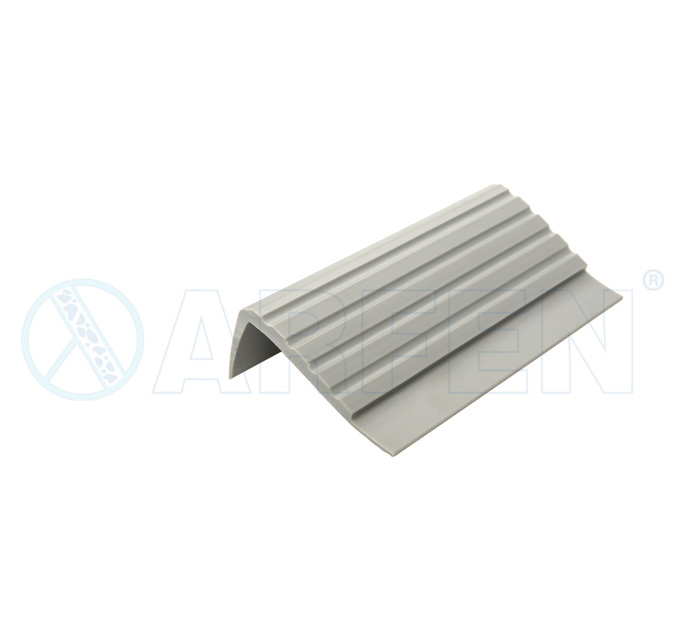 25×15 mm Width Aluminium Stair Nosing Profile. Color Alternatives: Anodic Matt, Yellow matt. 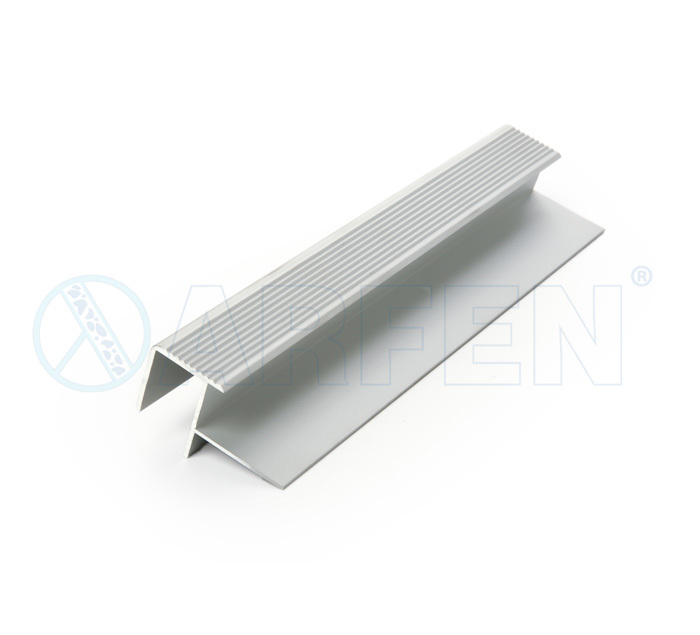 35×15 mm Width Aluminium Stair Nosing Profile. 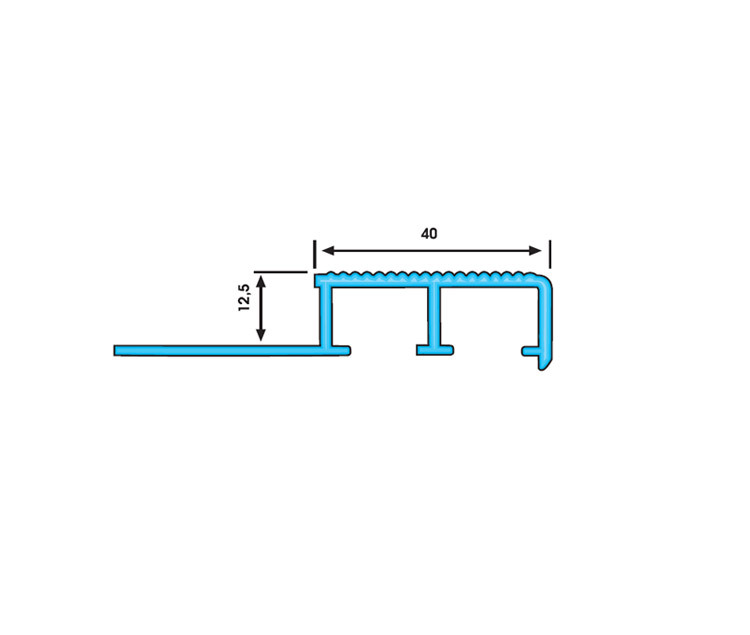 36×20 mm Width PVC Stair Nosing Profile. Color Alternatives: Black, Brown, Cream, Grey. 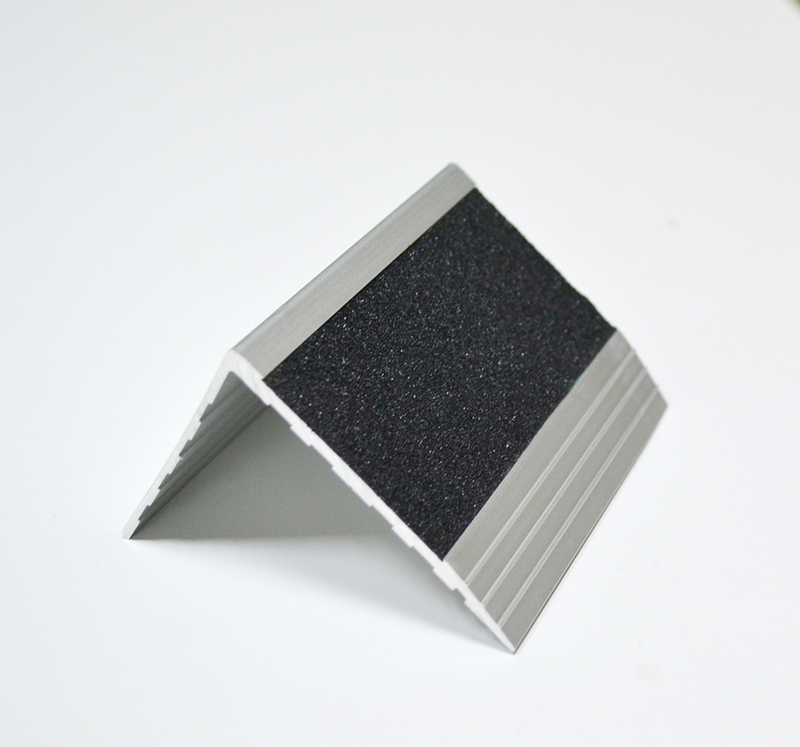 40×20 mm Width Aluminium Stair Nosing Profile with Antislip Tape Surface. 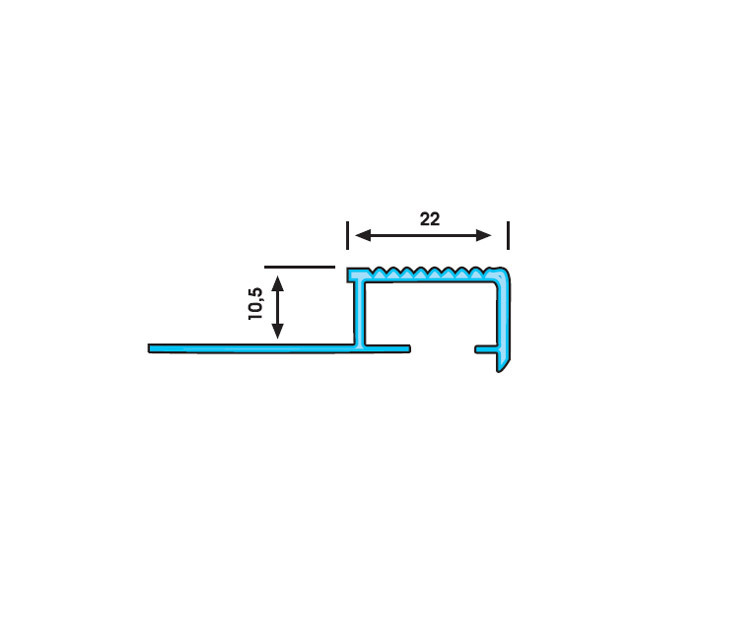 40×20 mm Width PVC Stair Nosing Profile. 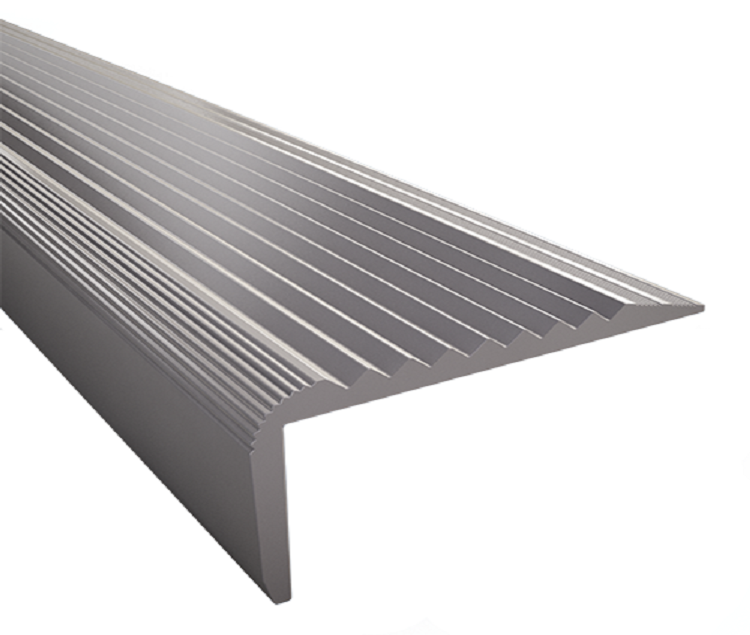 40×23 mm Width Aluminium Stair Nosing Profile. 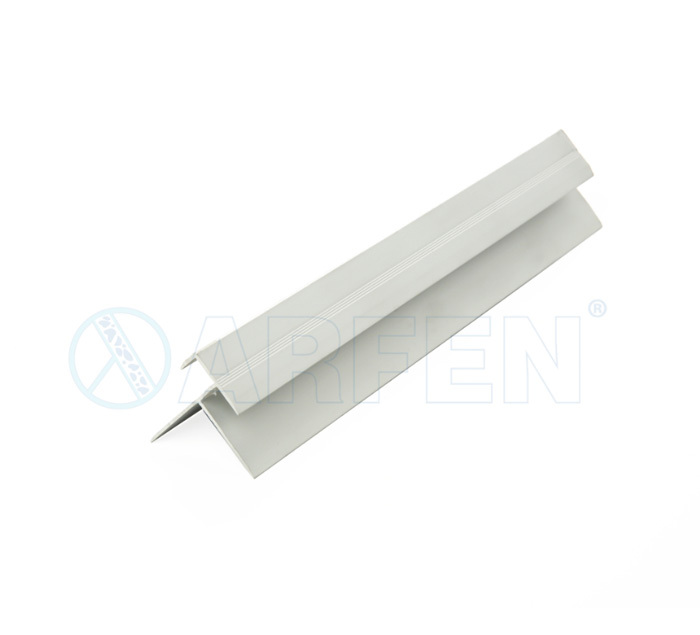 50×28 mm Width PVC Stair Nosing Profile. 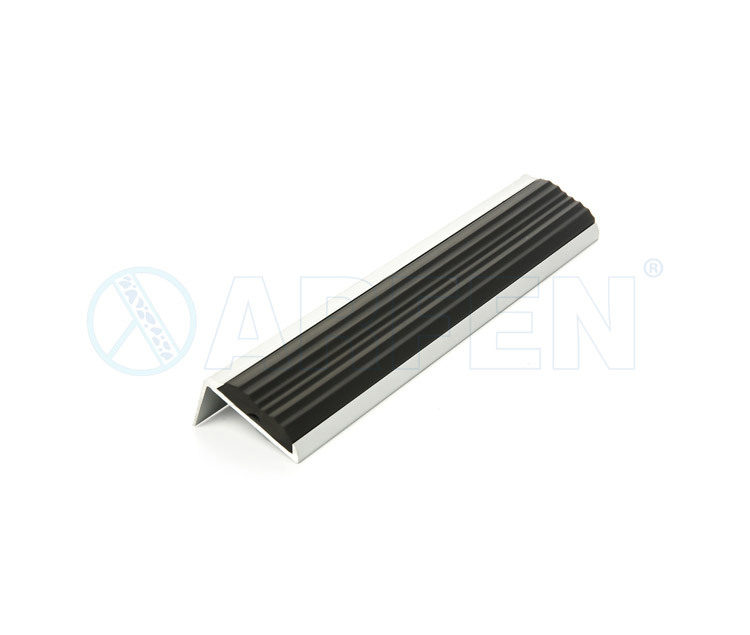 55×31 mm Width Aluminium Stair Nosing Profile with Antislip Tape Surface. 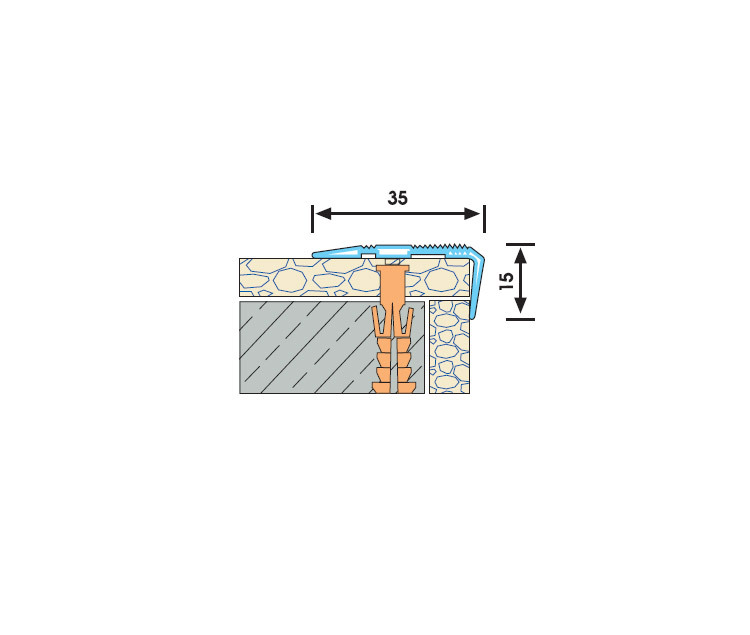 Color Alternatives: Anodic Matt,Yellow matt. 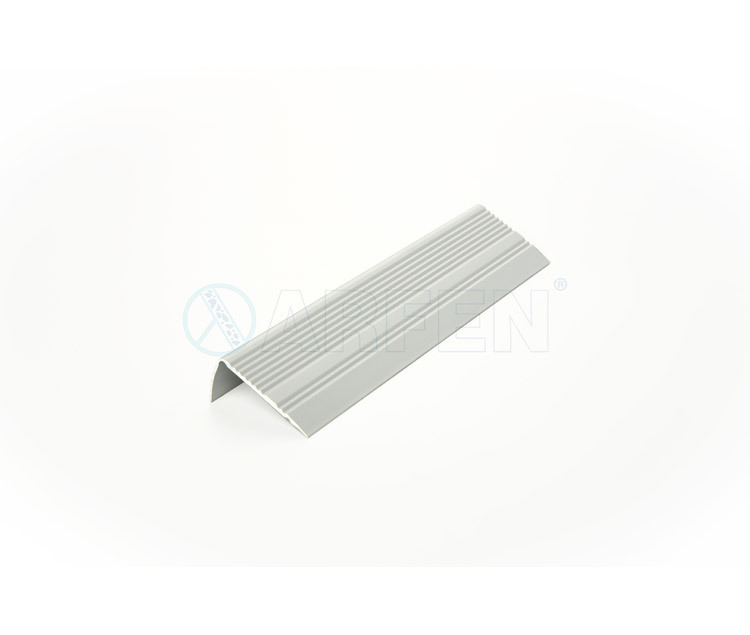 75 x 55 mm Width Aluminium Stair Nosing Profile. 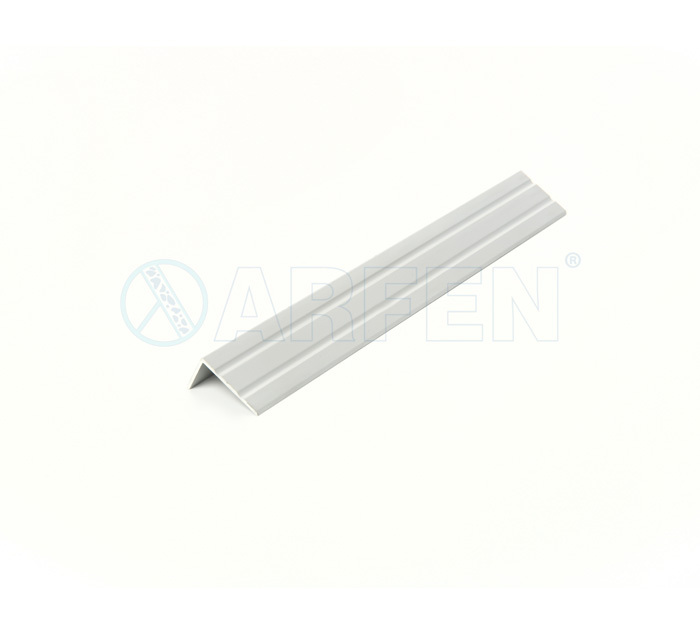 77×36 mm Width PVC Stair Nosing Profile. 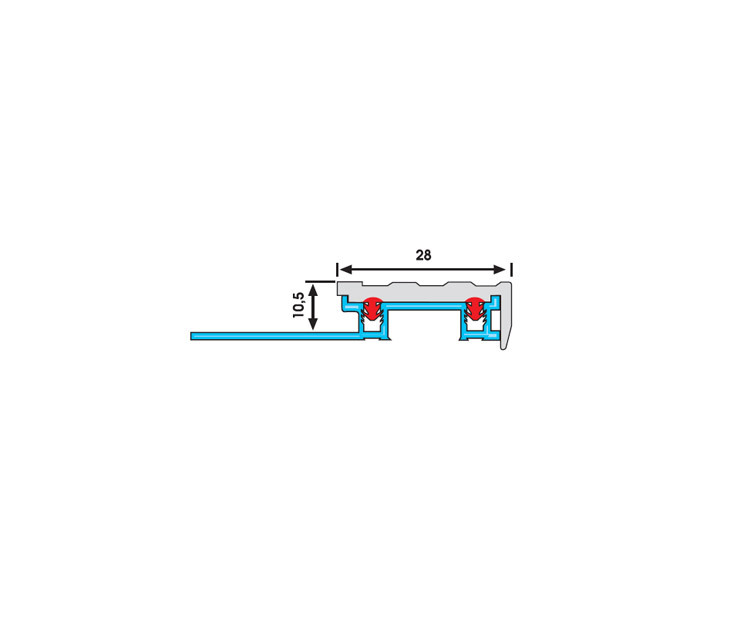 Step profile (stair nosing profiles) ensures a high level of safety for stairs. It is made from aluminium. 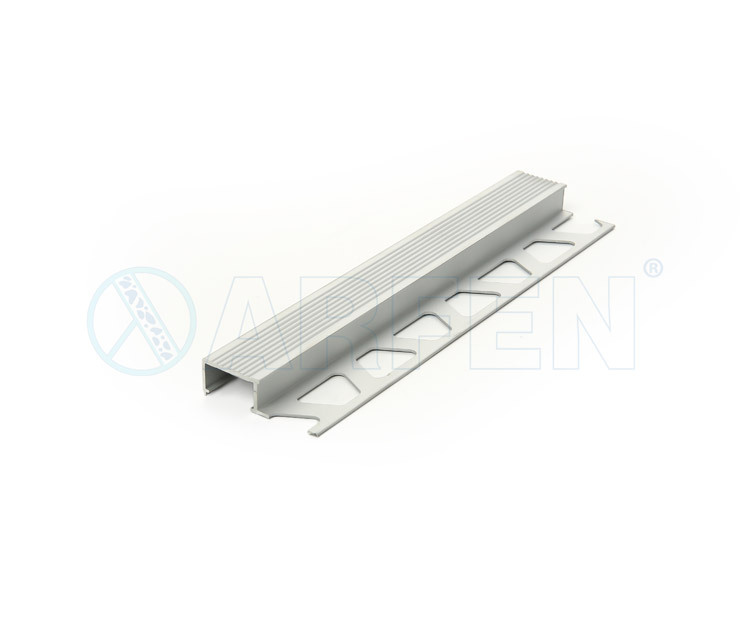 Stair nosing profiles ensures a high level of safety for stairs.It is made from aluminium. 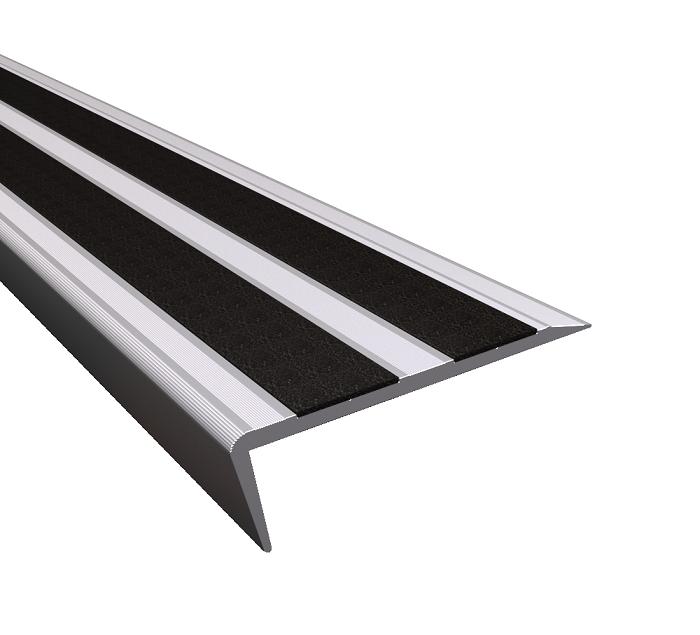 Step profile with rubber surface (stair nosing profiles) ensures a high level of safety for stairs. It is made from aluminium. Color Alternatives: Black, Brown, Grey. 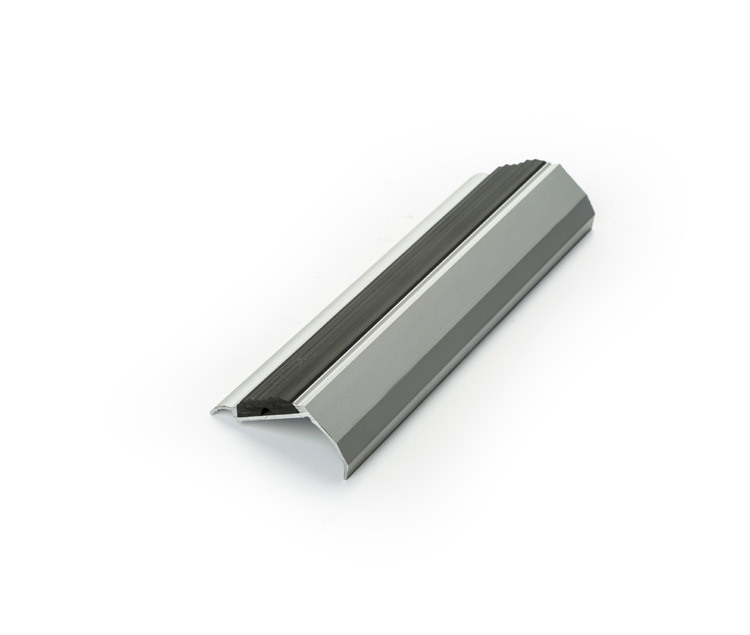 Stair edge profiles made from aluminium designed for laminant parquet stairs. 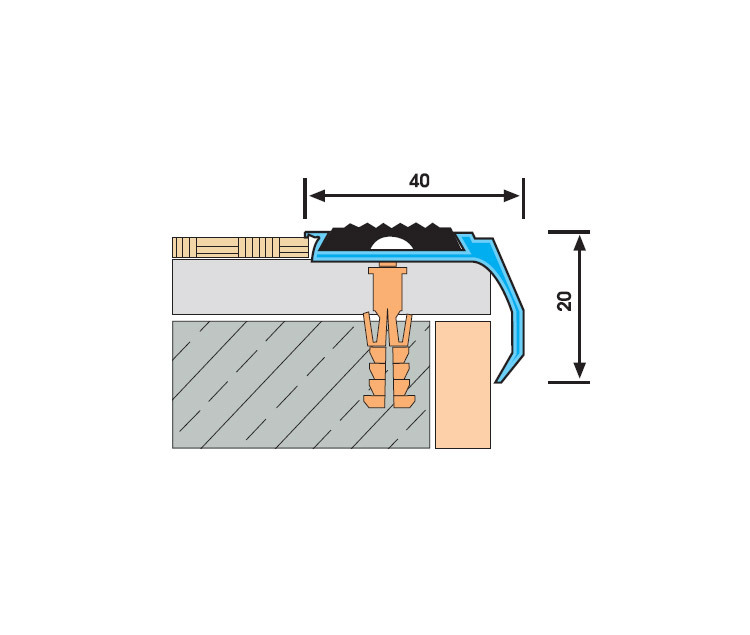 It reduce the risk of slipping thanks to it`s non-slip surface . 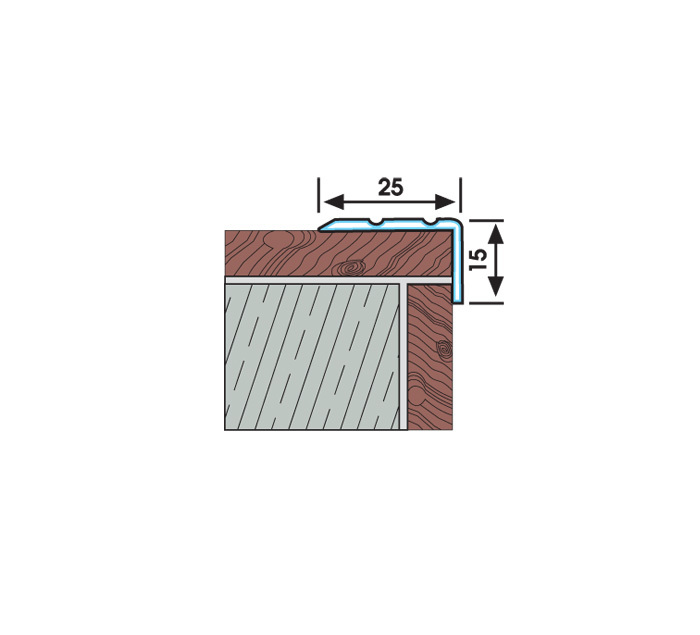 Stair edge profiles made from aluminium designed for wood&laminant parquet stairs. 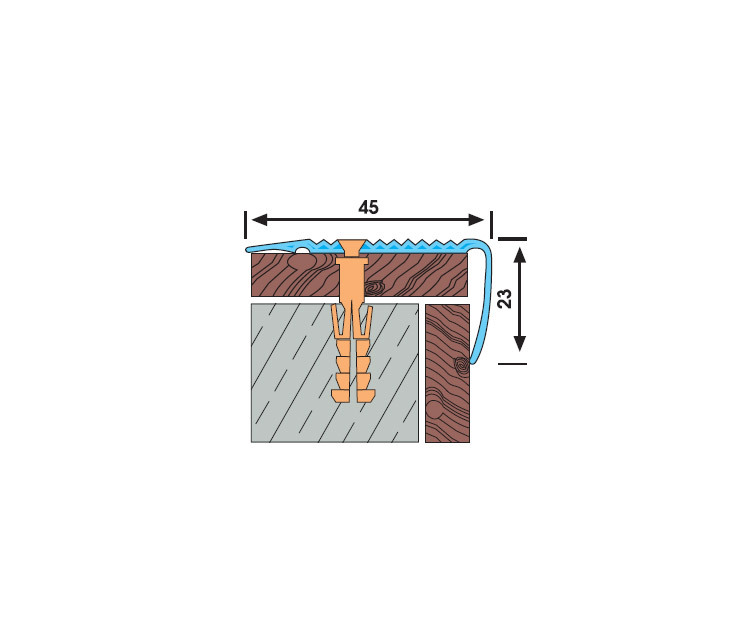 It reduce the risk of slipping thanks to it`s non-slip surface. 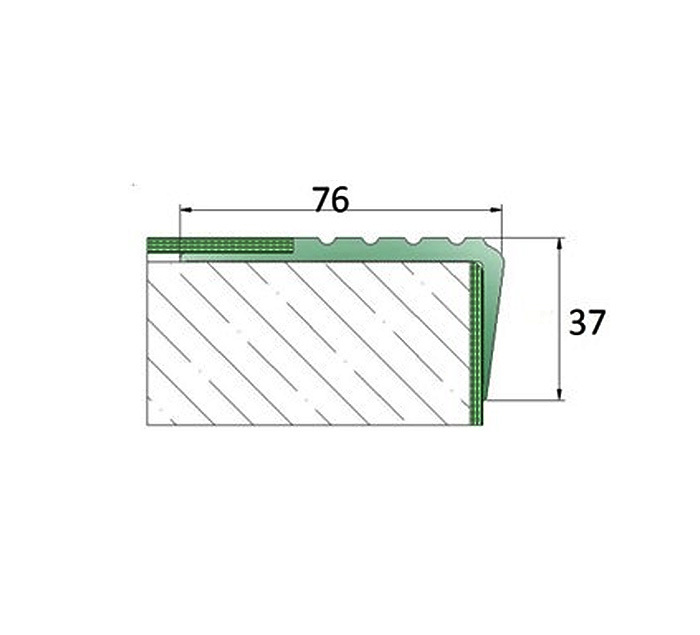 The anti-slip tapes used in the step profile. 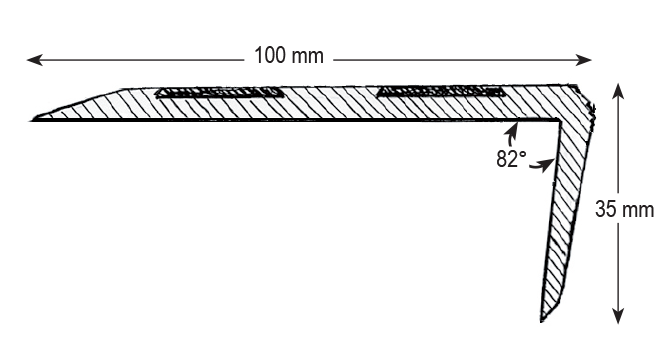 Band width is between 19- 25 mm. Color Alternatives: Black and Grey. 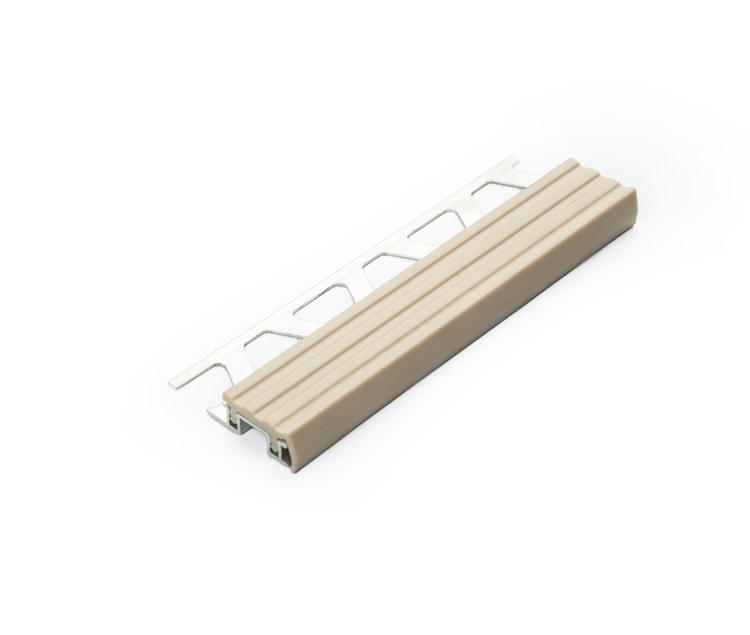 All-aluminium step edge strip, NDM SD1 (40x20x3 mm) and NDM SD2 (55x33x3 mm). 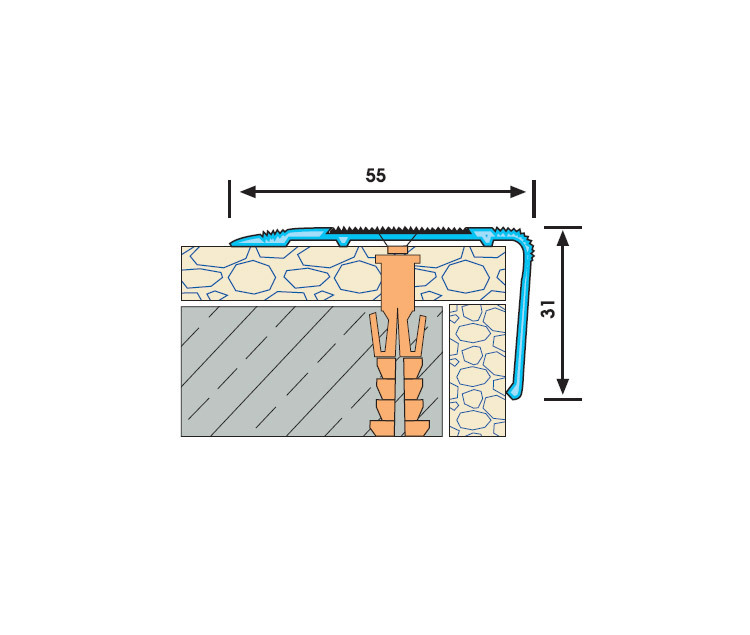 Finishing strip for concrete steps or directly on floor covering. Ribbed anti-slip surface. 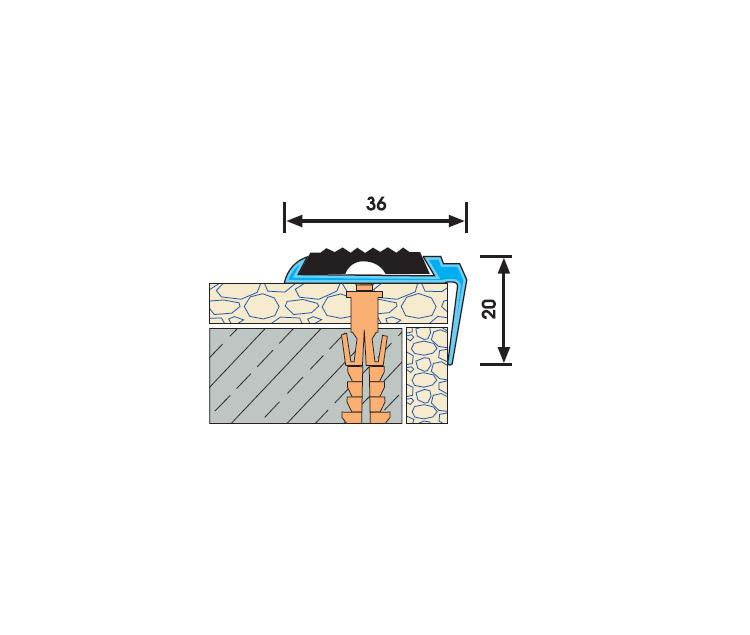 Suitable for any type of construction. Natural aluminium and anodized aluminium. Option of powder coating in RAL color. 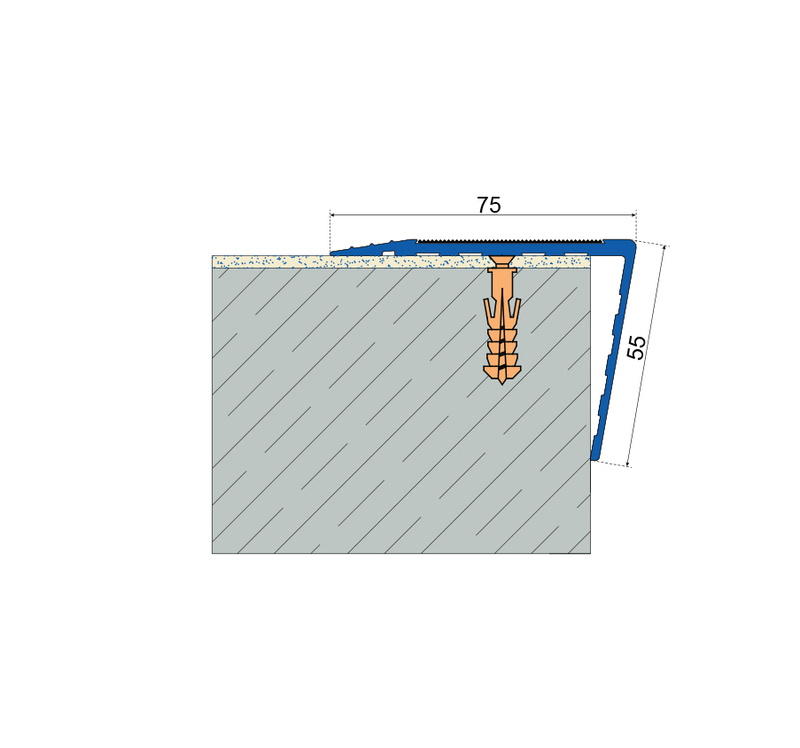 Option of hot-melt adhesive stripes for fixing to floor. 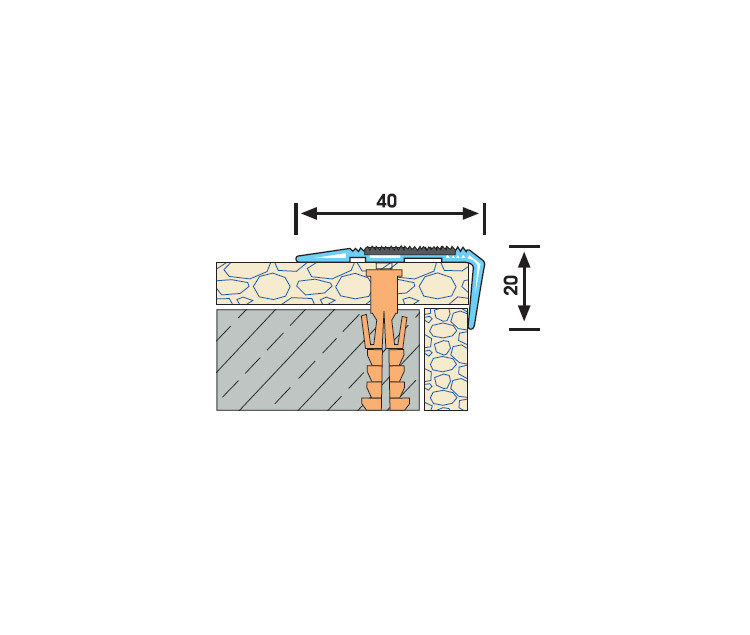 USE TO Step edges, on concrete or directly on finished floor covering. 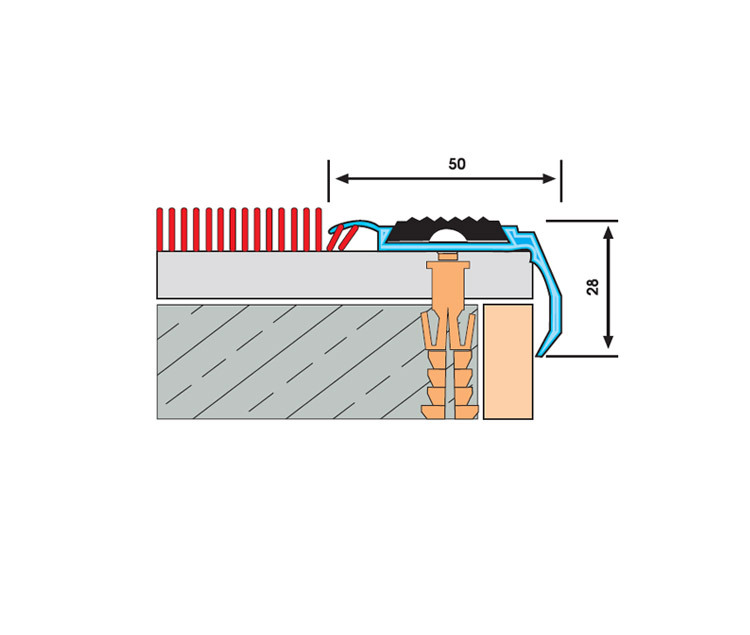 Strips held by fasteners every 30 cm, or ideally by chemical bonding using SPEpoxy resin. Aluminium step edge strip, 100×35 mm, with two anti-slip carborundum inserts, held mechanically. 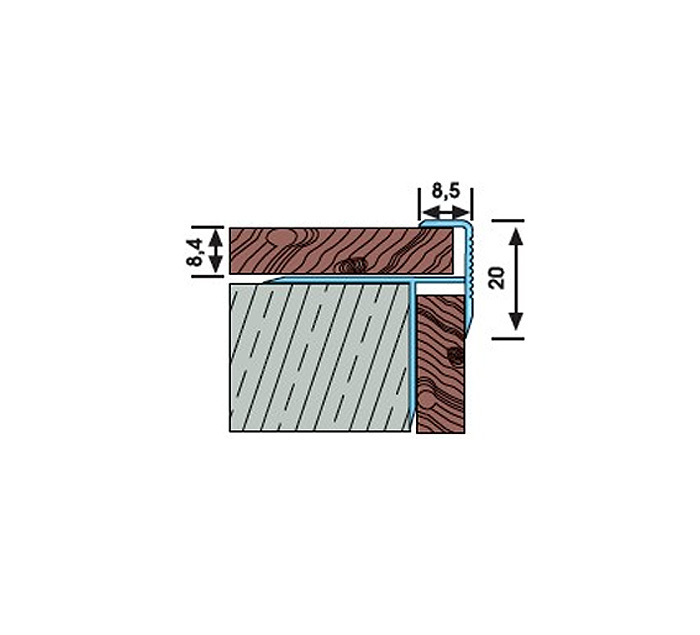 Finishing strip for concrete steps or directly on floor covering. 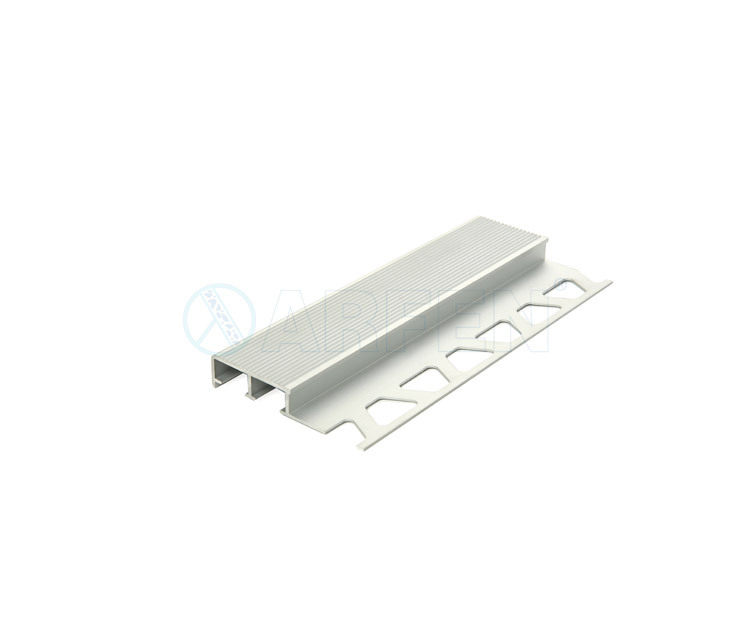 Ribbed anti-slip aluminium surface. 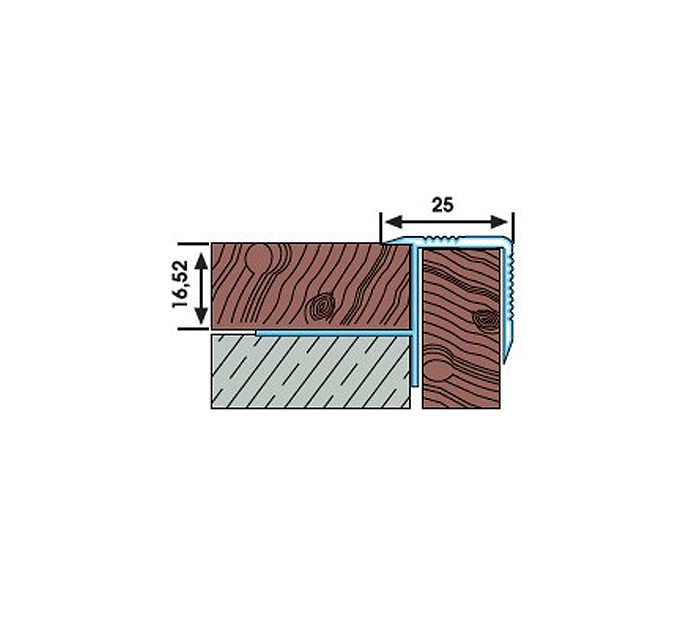 Suitable for any type of construction. 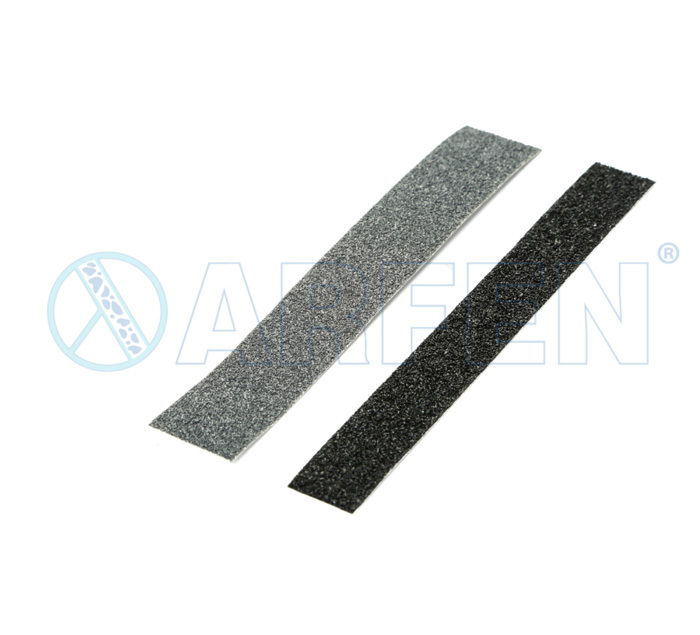 Aluminium strip length of 3 m. Black carborundum insert (other colors available) of 25 mm width, in rolls of 18.30m. Not drilled. Clear anodized aluminium. Fasteners under the inserts. Option of hot-melt adhesive stripes for fixing to floor.